Paddy, JP, Cindi and I hit a few galleries last night. Cindi returned from Spain on Thursday night. She caught us up on her trip which included a long layover in London so she could pop into the Tate Modern. Havu has a stunning landscape show which includes representational and abstract paintings. We also made a stop in Michael Warren Contemporary because they were having a tequila tasting. The final stop was Pirate which had the most reasonably priced art. Here’s one of my favorites. Pirate Contemporary Art, Tsogo Mijid, Entertainers, acrylic on canvas, 48 x 76, $1,850. I can’t take credit for the signs. I’m guessing other people complained too. It’s too bad it doesn’t tell people not to pee on the bathroom floor. It’s Friday. The VP who banished jeans from the office is wearing jeans today. Not a pair of nice dark-rinse jeans, but a pair of old and faded jeans with an unflattering fit. Do as I say and not as I do. Is There A Steven In Your Life? Click the link below to read a moving post by Dogpoet. I think this man is an undiscovered talent who deserves recognition. I ventured out alone on Friday night. I only made it to two galleries. Gildar had an opening for William Stockman, one of the stars of the regional art scene. The gallery was packed with fixtures of the local art scene. The art was stunning. No prices were posted which tells me the show is aimed at collectors. My second stop was Spark Gallery. I stopped in to see Kate McGuiness and have a second look at her new paintings. I adore Kate and her art is always stellar. Kate and I had a great conversation. I blew off attending the opening at Pirate because I was enjoying Kate’s company. 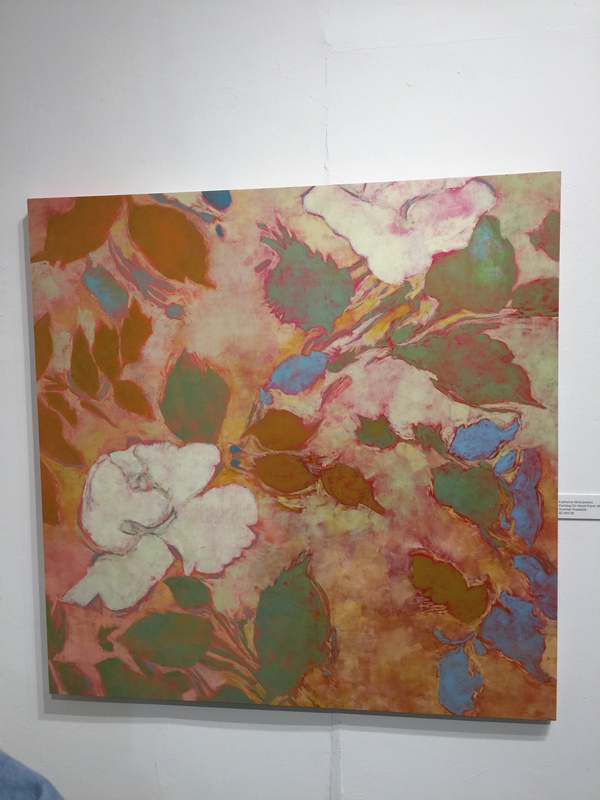 The associate gallery at Spark has new works by Patrice Sullivan. It a mixture of paintings and drawings inspired by place, family and experience. It a small but impressive presentation. Kate and I closed up the gallery and I headed home. A cold front was moving in which would bring much cooler temperature and rain for the rest of the weekend. 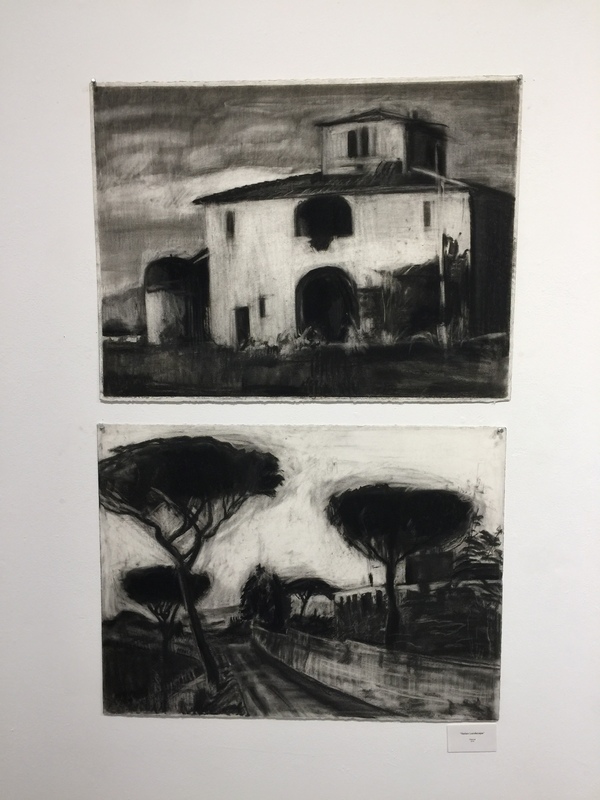 Spark Gallery, Patrice Sullivan, Italian Landscape, charcoal on paper, about 20 x 30, $175.00 each. 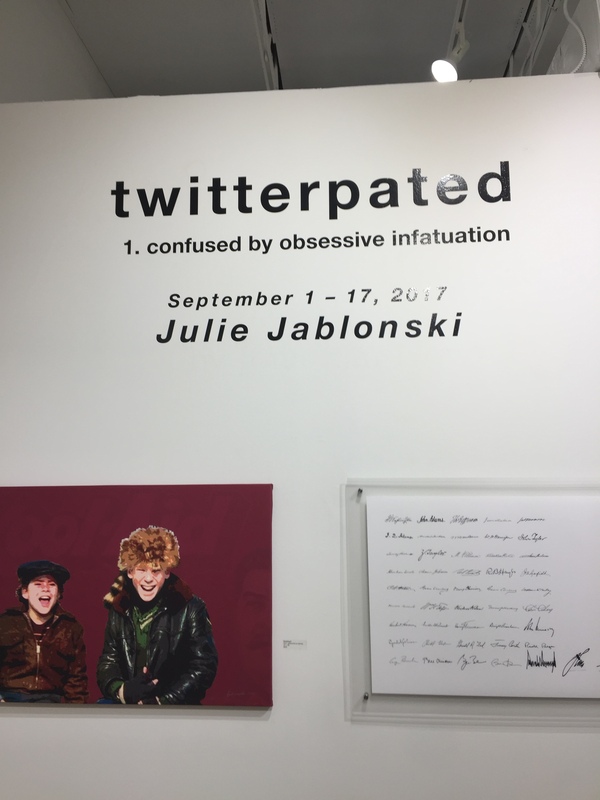 Pirate had a remarkable and thought provoking exhibit by Julie Jablonski whose run ended on Sunday. I meant to write a post about the work but life got in the way. Her show deserved more than just a few lines of text but I never found time to compose a decent post about her work. Julie assembled an incredible installation along with paintings. 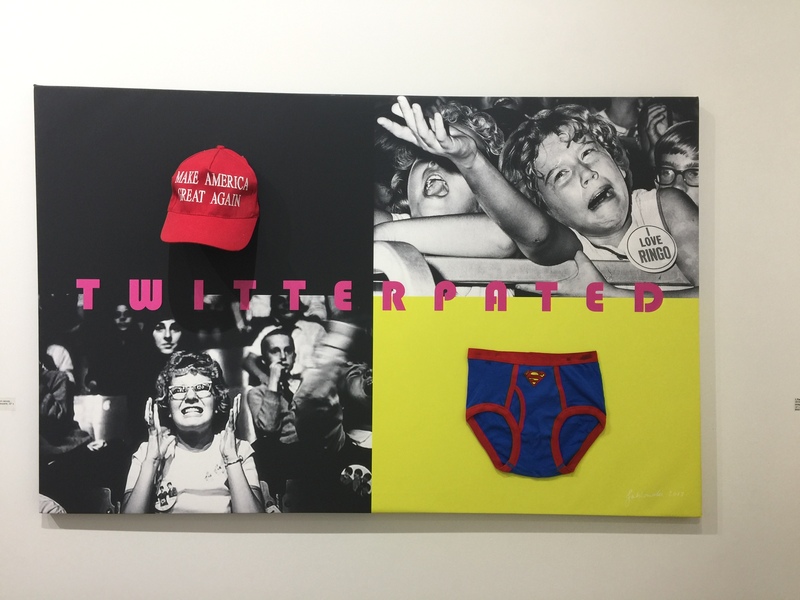 The exhibit was titled, Twitterpated (confusud by obsessive infatuation). Julie wrote one of the best artist’s statements I’ve ever read. Click here to give it a look. 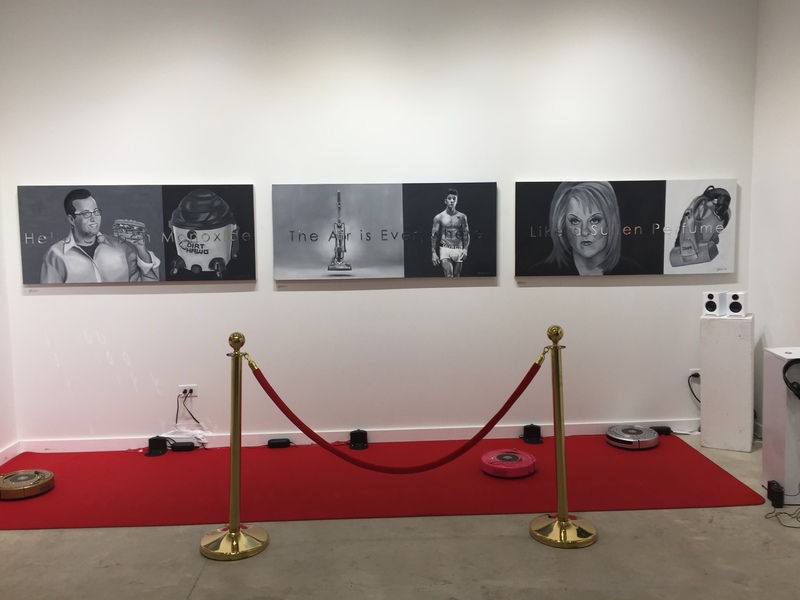 Here are a few photos of the exhibit. I look forward to seeing more from this talented rising star. 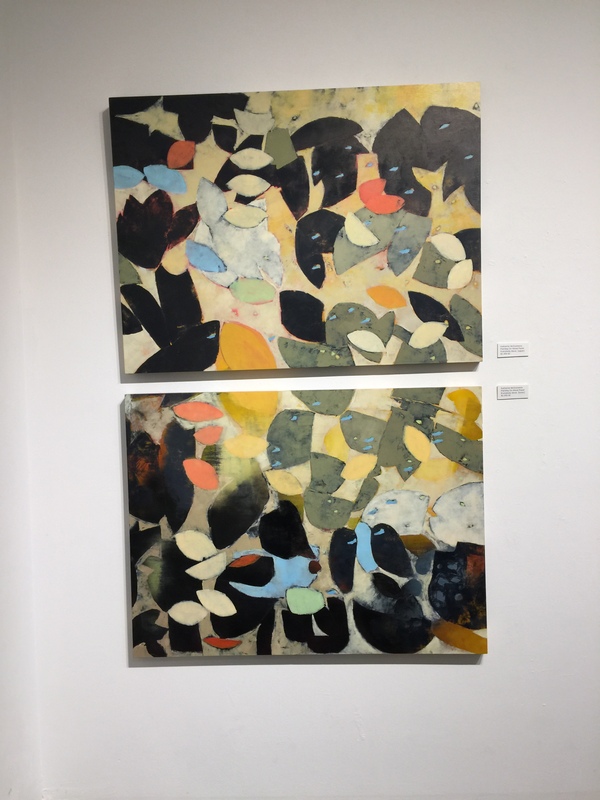 Kate McGuinness opened a new exhibit of paintings at Spark Gallery on Friday night. She is of my favorite artists. Here are a few pictures from the show.